Barry Rellaford is a globally sought-after leadership development expert. To every engagement he brings an uncommon mix of insight, passion, and practicality. He has presented keynotes and training workshops in 15 countries with participants representing more than 50 different nations. Barry’s clients include Microsoft, Proctor & Gamble, Honeywell, Johnson & Johnson, Toyota, Intel, Nike, and many other high-performing organizations. Barry worked closely with our associate Stephen M.R. Covey in developing the “Leading at the SPEED of Trust” training program and related tools. In a previous professional assignment, Barry led FranklinCovey’s Learning Expedition Center, the company’s internal corporate university focused on developing FranklinCovey consultants. 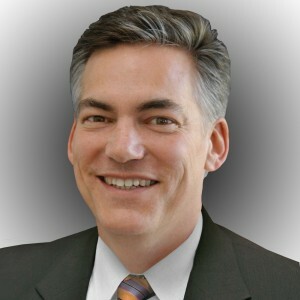 He also served as the Vice President of Organizational Development for Metatec Corporation, and as a performance consultant at CompuServe, Inc.
Barry has a Master’s degree in Labor and Human Resources from Ohio State University, and a Bachelor’s degree in Organizational Communication from Brigham Young University’s Marriott School of Management. He is co-author of the book Slice of Trust: The Leadership Secret with the Hot & Fruity Filling. A thoughtful speech, well delivered by someone who really cares about your people, can inspire them to dream bigger dreams and then achieve them.